I've just discovered that in the early Eighteenth Century the servant whose job it was to empty the chamber pots was called a Tom Turdman. You'd think that the job was bad enough without your employers rubbing it in (as it were). But I'm so delighted with the name that I care not a whit, jot or iota for poor Tommy Turdman's feelings. 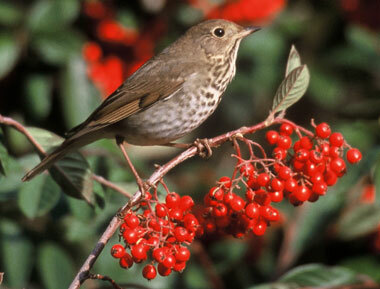 *This is the Turdus aonalaschkae pallasii, the hermit thrush which I have heard in Quebec Province. Chapman says (Handbook of Birds of Eastern North America) 'is is most at home in secluded woodland and thickety retreats. ... Its notes are not remarkable for variety or volume, but in purity and sweetness of tone and exquisite modulation they are unequalled.' Its 'water-dripping song' is justly celebrated. The notes to The Waste Land were utterly unintentional. It was decided that the poem was too short to publish on its own, so T.S. Eliot composed them to fatten up the volume, and to mention the word Turdus. Thy drasty rhyming is nat worth a toord. The expression of humour goes through various stages as one ages, peaking in sophistication (if we're lucky) sometime in early adulthood. Potty humour, however, which usually makes its first appearance at about age 4, never goes away. - you can read erudite and interesting (if occasionally low-brow) blogs in queues at the supermarket, instead of What Posh Did Last Summer. - sometimes the aforementioned blogs put you off the dinner you just bought. - people look at you funny when you laugh at your mobile (this depends on the area: in some areas it is considered normal, with or without mobile). - you forget which posts the typos were in and have to re-read them. Actually, that could go in either list, really.